Your child will be given a reminder stamp when their account is getting low or they have to charge a meal. Each child is allowed NO MORE than 2 charges, at a time. Once your student has 2 charges, they will receive a peanut butter & jelly sandwich for lunch. Please do not make charging a regular occurrence. If your student happens to charge, please pay for the charge the next day. 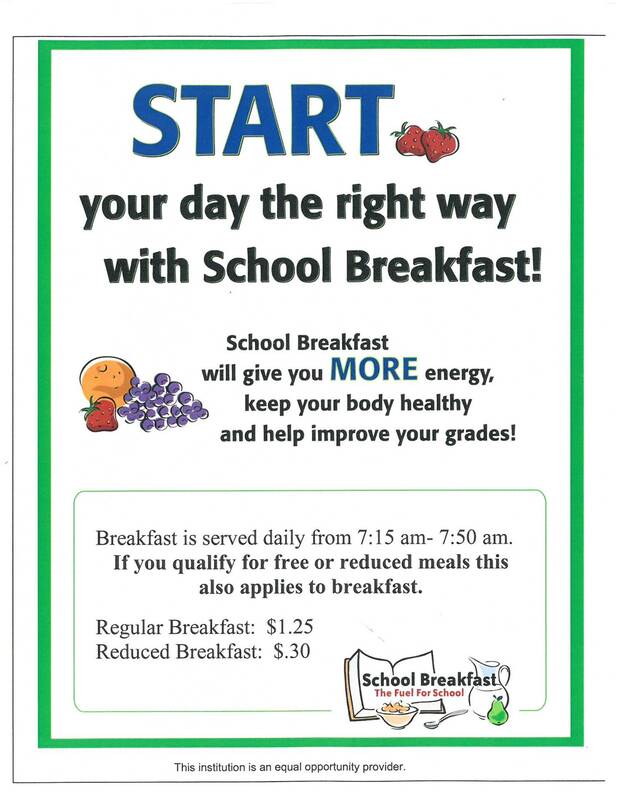 Parents or guardians can apply for free and reduced-price lunches. Applications can be picked up and returned to the principal or superintendent's office. Those eligible include children from families whose annual income is at or below the federal guidelines. Foster children are automatically eligible. Families can apply for benefits at any time during the year and may become eligible if the size of the household increases or income decreases. We are pleased to offer PaySchools Central online payment system that will provide you a faster, easier, and more convenient option for paying school lunch fees and monitoring transactions for your entire family. The PaySchool Central parent portal is easily accessible and available on the "Manage Lunch Account" portal. Persons with disabilities who require alternative means of communication for program information (e.g. Braille, large print, audiotape, American Sign Language, etc.) should contact the responsible Agency or USDA's TARGET Center at (202) 720-2600 (voice and TTY) or contact USDA through the Federal Relay Service at (800) 877-8339. Additionally, program information may be made available in languages other than English.